Robin Williams | Thinking is the enemy. I had a dream about the end of the world last night. The details aren’t important, but as is usual with dreams, I think my subconscious was responding to real-world anxieties. And we’ve got plenty to worry about, haven’t we? Climate change, Ukraine, the Middle East, Ebola. The best way to fight this sort of thing is with laughter. So when one of our best, most-loved comedians succumbs to despair, it’s hard for all of us. Others have written far more eloquent remembrances of Robin Williams than I ever could. But I would like to share some important information. If you are considering self-harm, please contact the National Suicide Prevention Lifeline. You can call 1-800-273-8255 or do online chat. It’s confidential and free. Know the symptoms of clinical depression. It’s different from run-of-the-mill sadness — it’s a potentially life-threatening illness, but a treatable one. If you or someone you know is suffering, please call a doctor and get help. And thank you, Robin Williams, for all the laughs. 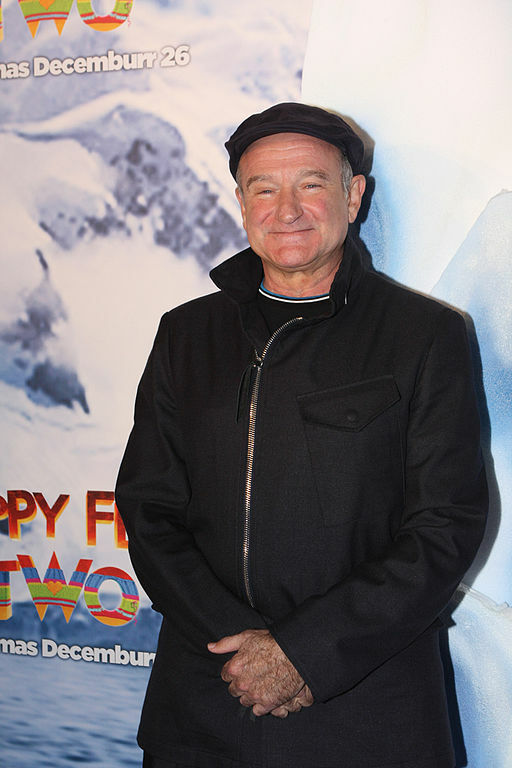 This entry was posted in Miscellaneous and tagged depression, robin williams, suicide. Bookmark the permalink.